Income investors know when the market is up, look for calls on your dividend stocks. You can click on my Call Options page to learn more about call options. 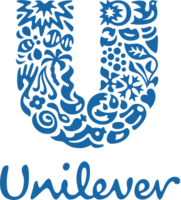 Unilever, symbol UL, like Proctor and Gamble sells branded consumer goods. All stocks in the space suffered but today UL is above my cost basis. The point of this post is to illustrate how you can take a stock like UL that pays a 3.39% and increase your income by another 3%. The way it works is to sell to another person the right to buy your UL shares at a strike price greater than your basis. The call buyer pays you a non refundable premium for that option. When you select an expiration date after the next ex-dividend date, it is highly likely you will receive both the dividend and the call premium as income. This is not guaranteed. If UL stock price soars, the call buyer might buy it from you before the next ex-dividend date. You still get the nice gain and the call premium but you could lose the stock and the next dividend. I strive for an average income from my dividend stocks of 5%. You could put all your nest egg in At&t (symbol T) or Ford (symbol F) and get more than 5%. But, most of us need more safety and more diversification than just these two stocks. I own both T and F. I also own UL and this stock provides some international diversification and call option opportunities. Take a look at the call I sold today. I want to emphasize the over 14% return is only possible if the call buyer actually executes their option and buys your shares at $55.00. Calls expire 90% of the time. Therefore, as an income investor, you must be prepared to keep your UL shares even if they tank during the time you cannot sell them because of the option contract. You will still receive your dividends from UL but you could be underwater on your basis. Income investors need to concentrate on the additional yield they receive from selling calls with a strike price high enough that it is most likely the call will expire useless. Even when the call expires useless, you keep the call income and the dividend income. In the UL example, your total income over a year would be the dividends plus the income from this call premium. Let's use UL's last four dividend payments plus the call premium and you get $3.306 per share for an annual yield of 6.62% on my basis. If I lose UL, there is always another 3.39% yielding stock to buy.